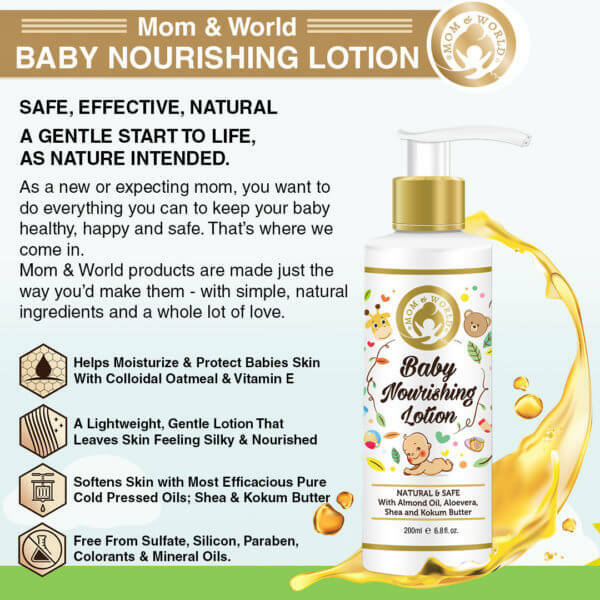 Mom & world baby nourishing lotion is an ideal lotion meant for reducing dryness and maintaining the moisture level. This product is safe, natural and helps replenish the moisture of the skin after the bath. Enriched with vitamin E, this product is suitable for the tender skin and can be used for all skin types. Made from the natural ingredients such as organic shea butter, organic aloe vera gel, and kokum butter. The pH neutral product is very skin friendly and gentle on baby’s skin. When it comes to baby care and taking care of the baby skin, we all become extra careful. We become very conscious as to what to use and how to use. As overprotective parents, we look for products that are safe. The baby skin is very gentle and sensitive. Hence, it becomes easily prone to allergies. One must, therefore, be very careful in selecting products meant for babies. Baby skin needs more moisture to maintain its well-being. The soft and sensitive skin tends to lose moisture very fast compared to the adult skin. It is better to initiate locking the skin moisture before they leave the skin. Not all baby lotions are suitable for the tender skin. The baby skin prefers products that provide intense moisturization. The product that will keep the skin moisturized all through the day. The soft and beautiful skin should remain smooth and supple all the time. The baby’s bottom is very delicate. Prolonged use of diaper makes the bottom chafed and irritated with or without rashes. Baby skin rash is a nightmare for the parents and painful for the baby. The baby products should have a pH that is similar to the baby’s skin. In other words, the product should be pH neutral. The products meant for the babies should be clinically tested and they should be soft and gentle for use. Keeping the baby clean is very important. However regular bath might be challenging as it may cause skin dryness. You can bath your baby once or twice a week. Use a mild and soft cleanser that gently removes the dust and dirt from the skin and at the same time maintains the skin moisture. Use products meant for babies only. Baby products are specifically designed keeping in mind the need and requirement of your little one. They are enriched with ingredients that will keep the skin moisturized, soft, supple and hydrated. The scalp also needs washing and shampooing at regular intervals. One must select a shampoo that is mild in nature. The shampoo must contain all the ingredients that will replenish the moisture and the nutrients in every wash. The most important aspect of skin care for your baby is after the bath or sponge. After drying your baby, the skin needs to be moisturized. Select a baby lotion that will maintain the skin’s softness and will keep it hydrated for a long time. Be extra careful when it comes to the baby’s bottom. Make sure that the baby does not remain in a dirty diaper for a long time. Protect the baby’s bottom with a suitable lotion. A good cream or lotion will act as a shield and will protect the skin from damp and wetness. SO WHAT IS A BABY LOTION? The baby skin as already mentioned is very delicate. It is very thin. It is thinner than a sheet of paper. This makes the baby skin very vulnerable and prone to skin damage and skin dryness, usually after a bath. The baby skin is vulnerable to all kinds of environmental changes and irritants. So the main concern should be keeping the little angle clean, moisturized and hydrated. The baby skin requires extra care for maintaining its pH balance. Hence, while selecting any baby product keep an eye on its ingredients and select products that are pH neutral. Baby lotion is commonly used for nourishing the skin and maintaining the skin’s softness. It also helps in protecting the skin from rashes and irritation. The product should have a good amount of oil to make the skin soft and moist. 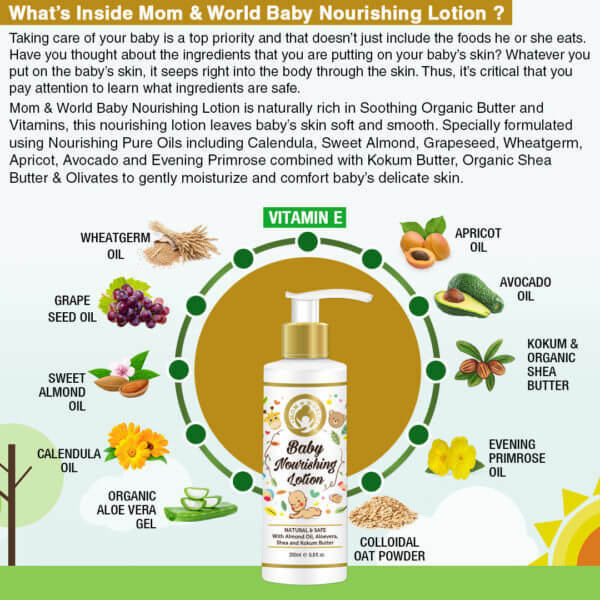 The baby nourishing lotion from Mom and World Rich Moisture Baby Lotion is one of the best for your angel. It keeps the baby skin moisturized throughout the day. The product is suitable for the baby after the bath. The lotion replenishes the essential moisturizer that gets lost during the bath. The baby skin maintains its soft and suppleness as the lotion acts as a skin barrier by providing the required moisture. The product is full of delicate fragrance and is hypoallergenic. The baby skin lotion is hypoallergenic and is pH neutral. This product from Mom and World Rich Moisture Baby Lotion is tested by pediatricians and dermatologist. It is also enriched with natural and pure oils of calendula, avocado, apricot, sweet almonds, organic olives and grape seeds. A lotion combined with all these ingredients will surely make the baby skin soft and supple. The product is safe and natural and very effective. The product is naturally nourishing and it provides relief from chapped, chafed and cracked skin. Moreover, the baby lotion is devoid of sulfates, parabens, mineral oil and chemicals. Apply a generous amount of lotion and massage gently. Use regularly to seal in moisture. Glycerine, Organic Olivem 1000 (Derived from Olive Oil), Beeswax (Cera alba), Kokum (Garcinia indica) Butter, Wheatgerm (Triticum vulgare) Cold Pressed Oil, Apricot (Prunus armeniaca) Cold Pressed Oil, Avocado (Persea gratissima) Cold Pressed Oil, Grapeseed (Vitis vinifera) Cold Pressed Oil, Colloidal Oat Powder, Organic Aloe Vera (Aloe barbadensis) Gel, Calendula (Calendula officinalis) Essential Oil. 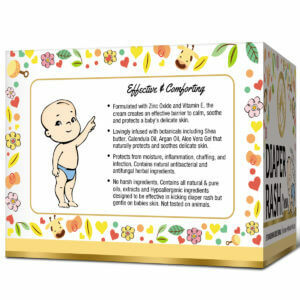 This natural oil and body butter based baby lotion is a superior alternative to the mineral oil based baby lotions easily available in the stores. I can now rest assured that I am using a safe product that can never harm my little one. Her skin stays hydrated for hours. This lotion preserves the nature softness of the baby skin. 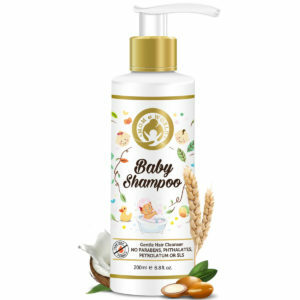 Made with natural ingredients, it is the best product I can give my baby.